We found this bone while walking near Cleveland National Forest. There had been heavy rains recently and a lot of debris has washed down from the hills. 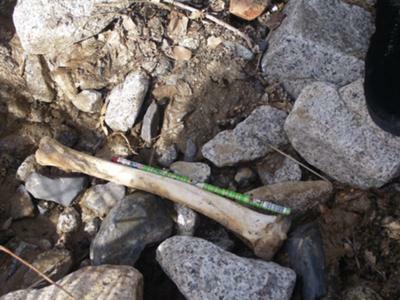 This bone had washed up on the bank of a stream. Can anyone tell me what it is from? Thank you.